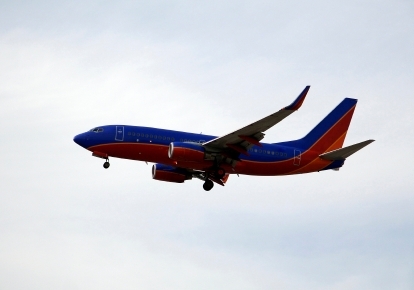 Southwest is in hot water again over a decision regarding a passenger of size. Last week, the airline gave the boot to a standby customer in order to accommodate a late-arriving passenger who required two seats due to her size. The latter passenger was a young girl, only 14, and Southwest apparently gave her precedence because she was a minor traveling alone and to avoid embarrassing her further. If you ask me, this was a no-win situation for the Southwest crew working the flight. Either they remove and embarrass a minor—who was flying on a reservation, not standby, mind you—or kick off a standby flyer in order to free up a second seat for the larger passenger. So the airline chose the latter option, and instead of discussing a video of a tearful, traumatized teenager, we’re hearing an aggrieved standby traveler’s tale of frustration. Which is exactly why I’m not really interested in the inevitable fat-vs.-thin debate already consuming this story. What I’m more concerned about is whether or not Southwest played by its own rules. Standby travel is, by definition, tenuous. Here is how Southwest defines standby travelers: “Passengers who will be enplaned on a flight subject to availability of space at departure time and only after all Passengers having reservations for such flight have been enplaned on such flight” (emphasis mine). That bolded section of Southwest’s standby definition certainly suggests Southwest’s crew made the proper choice, at least in terms of ticketing hierarchy. Until the aircraft door is closed, it seems passengers with reservations take priority over those flying on standby. The passenger in question was late, but apparently not late enough to warrant keeping her off the aircraft. It’s unfortunate that the standby passenger paid for a seat and then lost it, but I guess that’s part of the risk of flying standby. Maybe the crew would have been less forgiving if the tardy ticketed passenger had been an adult. Speaking of which, the other wrinkle in this story is that the late-arriving passenger, while not technically an unaccompanied minor, was a young teenaged girl traveling alone. No one wants a 14-year-old delayed unnecessarily if it can be avoided, and the crew determined that sticking the 14-year-old on a later flight was not a good idea. Hard to fault that logic, if you ask me. So the obvious question is: If the late-arriving young girl didn’t require two seats, and the standby traveler had occupied what was technically the girl’s seat, would anyone fault Southwest’s choice? Of course, the circumstances prevent the discussion from being that simple. There was an open seat, it just so happened that the late passenger required two. But even the most obvious alternative option, asking for volunteers to be bumped, is fraught with potential awkwardness. What if no one volunteers? What do you do with the girl, make her stand up front while the flight attendant waits for a raised hand? No matter how you look at it, there’s simply no happy ending to this story. So readers, what on earth would you do with this unenviable situation?